A listing of Exceptional Entrepreneurs doing business all over the country. Search by State and Business Type. Get Listed! Using the website and the information contained within is FREE and encouraged. Let us keep you up to date on the successes and progress of our exceptional entrepreneurs by subscribing to our Quarterly E-Newsletter. Simply fill out the little form above and you're all set. Your support is greatly valued, your information is secure and will not be sold or shared. What is an "Exceptional Entrepreneur"? Exceptional Entrepreneurs are individuals living with developmental and/or physical disabilities who have decided to take control over their own destinies by creating and successfully running their own businesses. 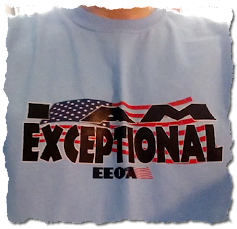 What is "The Exceptional Entrepreneurs of America"? The Exceptional Entrepreneurs of America is a professional organization whose goal is to connect these Exceptional Entrepreneurs with each other, potential clients and supporters as well as opportunities that may benefit them and their commercial endeavours. We're excited to begin a working relationship with the folks over at The Self Advocacy Association of Western New York. For may years they've produced a television show seen on local cable access called Self Advocacy in Action. The show features interviews with local mover and shakers in the regional self advocacy movement. Good thing happening in the new year. Click to Pic to Order! Film maker Adrian Esposito's 2013 film "Bury My Heart With Tonawanda", was featured at EEOA's latest networking event. 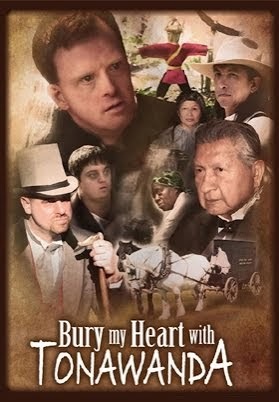 The DVD is for sale at amazon.com. Click the graphic for the sales page.